I’m not always one for convention, although there are certain traditions which become ingrained in us as children or which are just too fun to give up. For me, one of those includes getting married in a beautiful white gown fit for a princess. 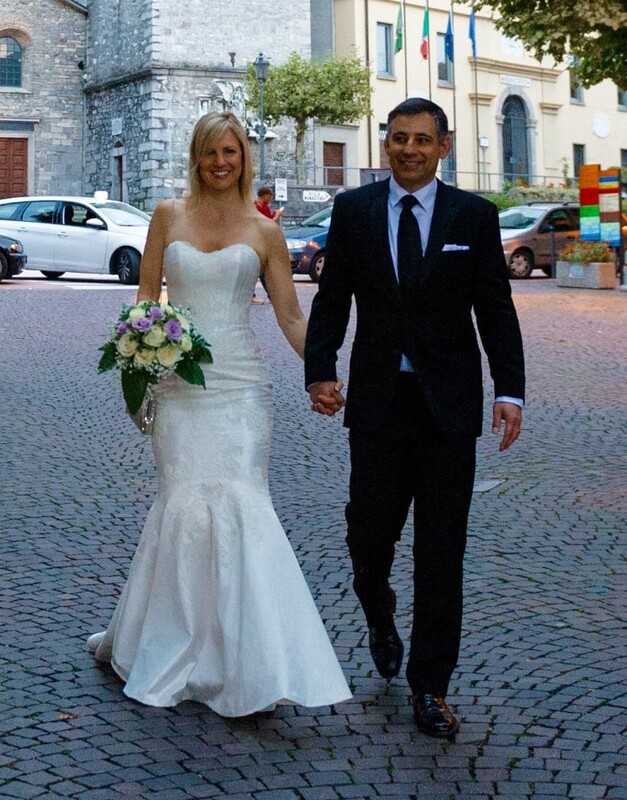 When Mark and I set our wedding date 9 months out and I learned that wedding dresses are often ordered 9 months in advance, I started to panic. Where would I even begin looking for the perfect dress to marry the perfect man? Once I started though, it was actually a lot easier than I expected – and more fun! 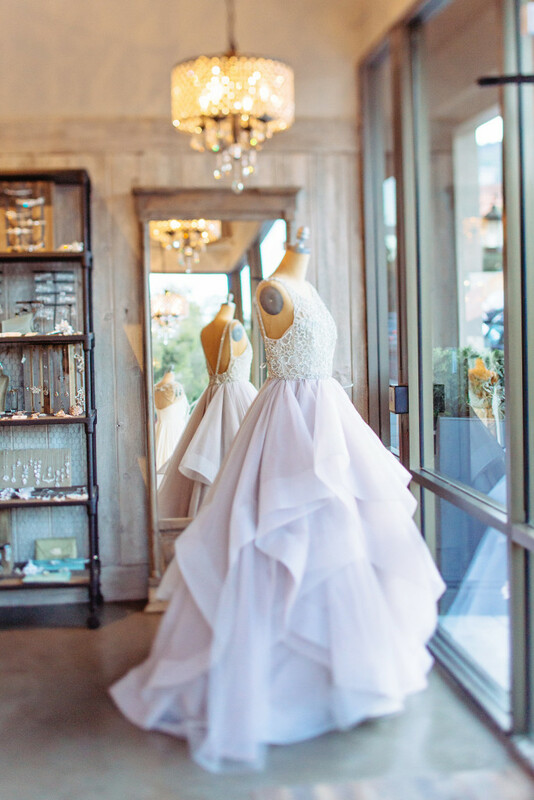 Before I even stepped into a bridal boutique, I poured over gowns on the internet. 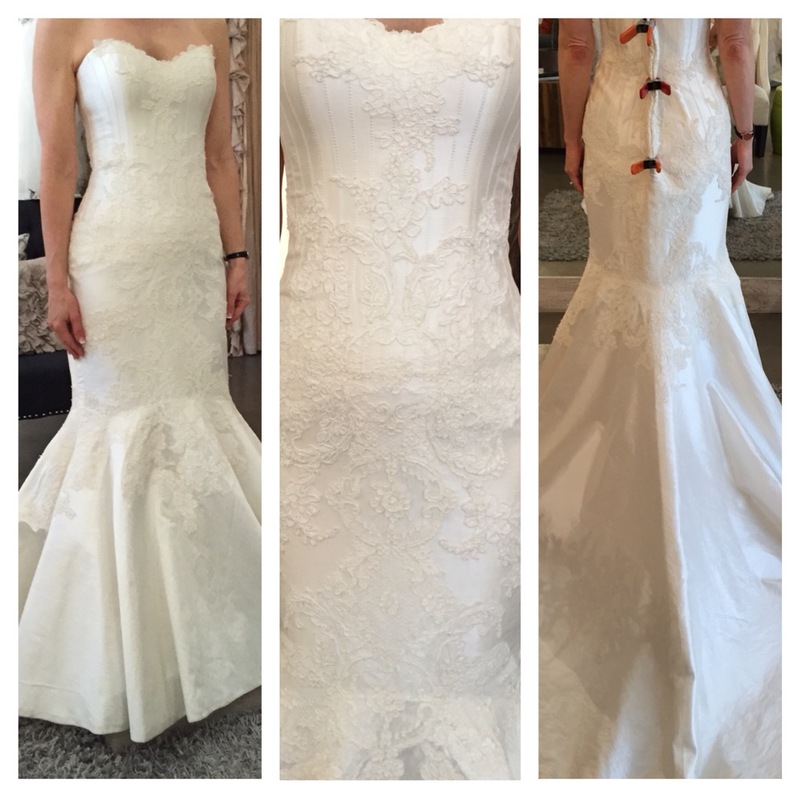 I wanted the dress of my dreams, but that also meant something that would make my sweetheart’s eyes light up, and so I got Mark’s feedback on my favorites. Both of us leaned toward silky, relatively simple body-con gowns. Strapless ones were another preferred style. However, I worried about them slipping, especially since a couple of strapless dresses I already had caused me to do frequent tugging. Haute Bride bridal salon. Photo by Kristen Holly, K Holly Photography. 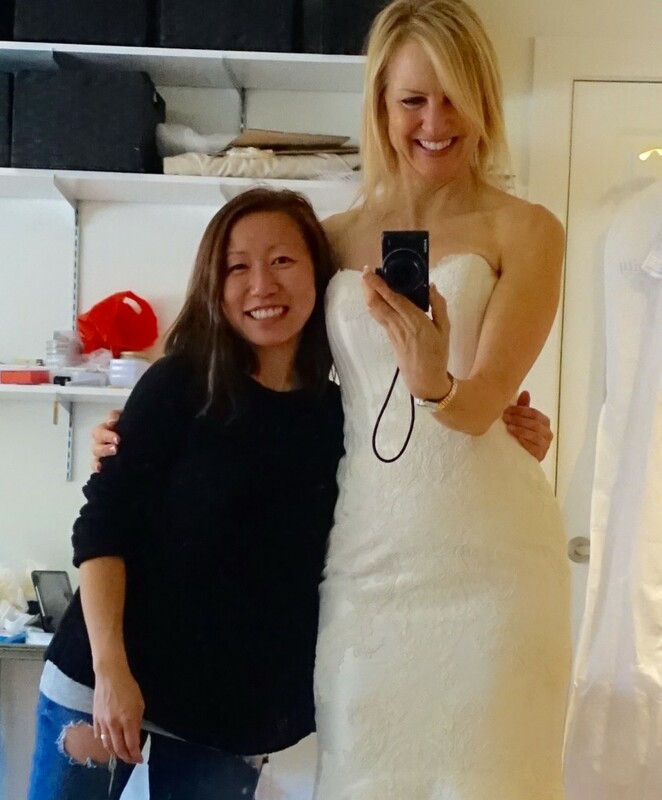 I began my real-life search at Haute Bride in Los Gatos, California. I had passed the front window multiple times, always noticing a gorgeous selection of gowns. 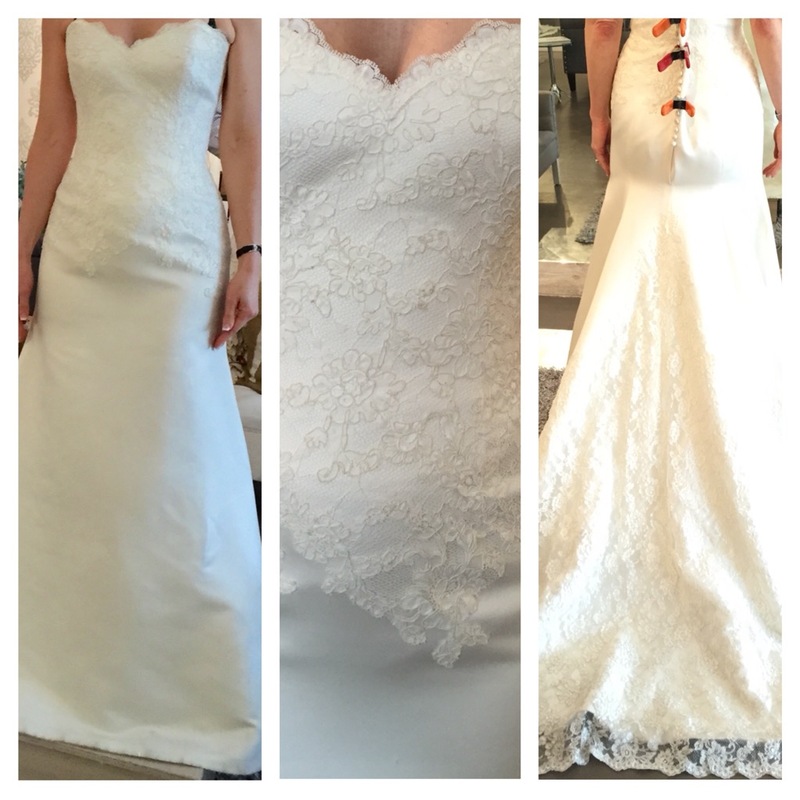 With the aid of Molly, a super helpful, stylish salesperson, I picked out 5 gowns to try on, 4 of which matched my ideals and one completely different one – for fun. Clamps in the back adjust the dress to your measurements. It was so silky, and the way it hugged my hips and flaired just below them played up my curves – in a good way. Also, there wasn’t a lot of frilliness, which I appreciated. This next Matthew Christopher gown thrilled me to the core. It was actually more appropriate for our ceremony than the last gown, which was ultra glamorous but perhaps more suitable for an evening wedding. This one, with lace overlaying silk, fit like a glove. The trumpet skirt was also a great shot of style. The final two dresses I tried on paled in comparison, and after checking out a couple of other Bay Area bridal shops – one crammed full of gowns of inferior quality! – I was sure that I had found my dress. After sharing the photos of my faves with Mark, it was confirmed: I would get the Poppy Trumpet style! 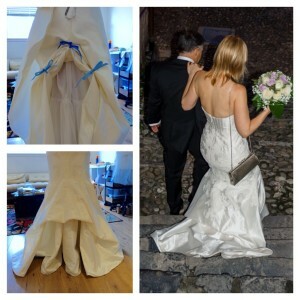 For this, she fashioned three sets of ties underneath the train – outside ones were light blue and center ones were dark blue to make it super simple (and “something blue.”) Since Mark and I privately exchanged vows atop a castle overlooking Lake Como, it helped that he could tie up my bustle. 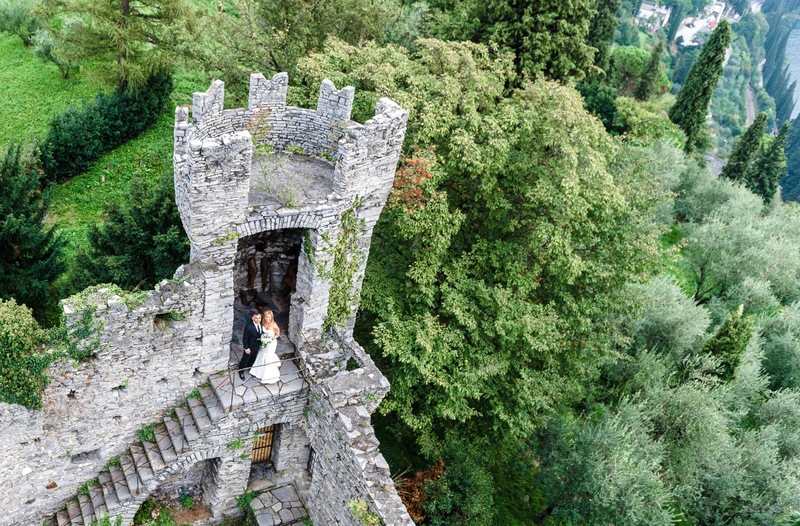 And with it, I was able to climb up and down castle steps…in style! 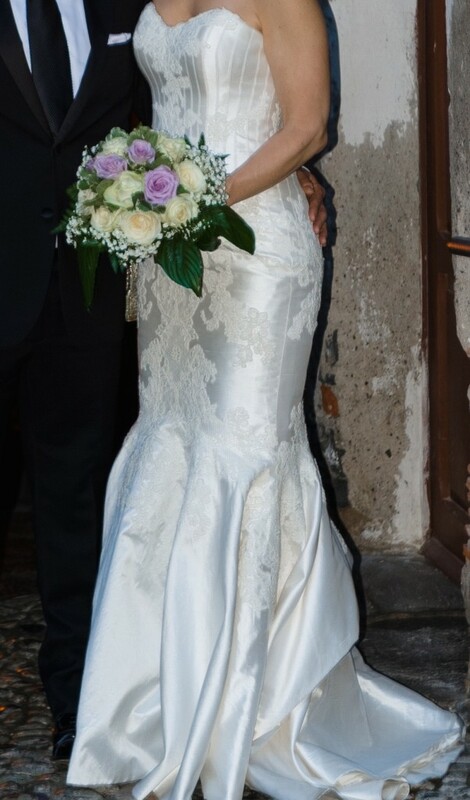 As you can see, it doesn’t have to be that difficult to find the perfect wedding gown if you know the style which will make you feel beautiful and best suits your figure. 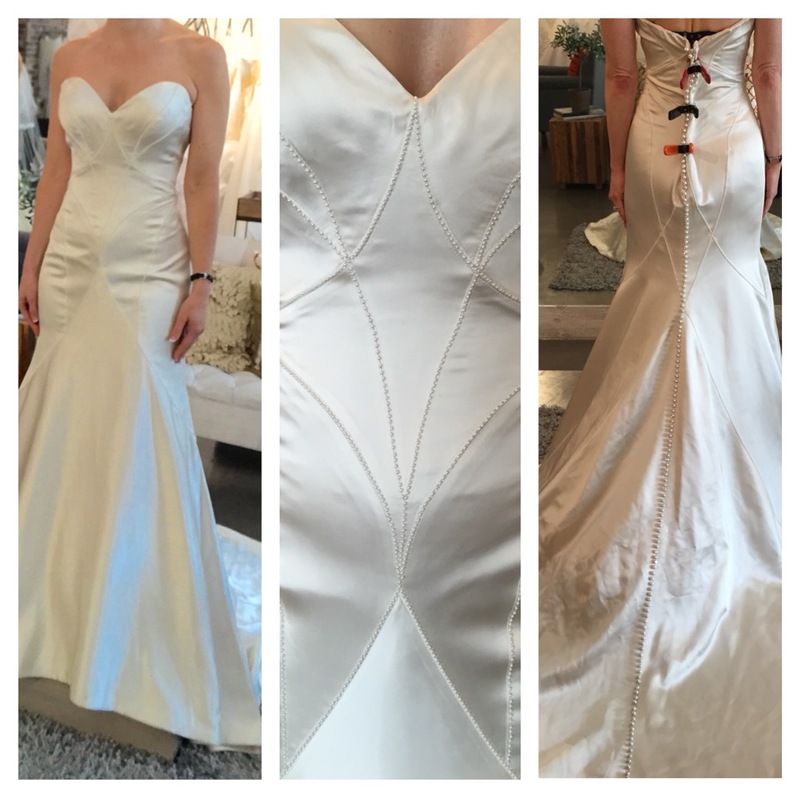 Finding the right dress is a lot easier than finding the right man! Thank you so much, Marcia! Besos! ???? Thank you, Valentina! ???? Yes, I love that dress, and I definitely agree with your statement about Mark. ??? ?